Home to Latin America’s highest cities, colonial treasures, and absolutely magnificent landscapes, Bolivia is a fairly unknown yet magical destination. Read about the main Bolivia attractions and destinations and contact us to start planning your exciting trip to Bolivia. "We sell virtually all services available in Peru"
The world’s highest (de-facto) capital city, beautiful La Paz sits in a deep canyon surrounded by stunning snow-capped peaks and holds many treasures for the curious traveler. Located on the shores of Lake Titicaca, the world’s highest navigable lake, Copacabana is the perfect base for a tour to Isla del Sol, the mythological birthplace of the remarkable Inca culture. 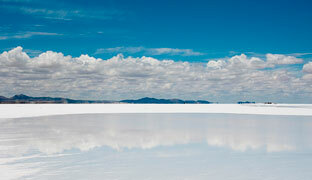 Uyuni is the gateway for trips into the breathtaking Uyuni Salt Flat, a vast glistening white expanse nestled amidst spectacular volcanic peaks. Steeped in colonial history, colorful Sucre – Bolivia’s official capital – boasts beautiful churches and museums with impressive collections of colonial art. Bolivia’s second largest city, Santa Cruz, is vibrant and modern, a great base for exploring the surrounding Incan ruins and Jesuit missions. The world’s highest city of Potosí was once rich from silver, and still retains the character and charm of its heydays. Travelers to Potosí will find a treasure-trove of colonial art and architecture. The colonial city of Cochabamba sits midway between the Altiplano and the eastern lowlands. 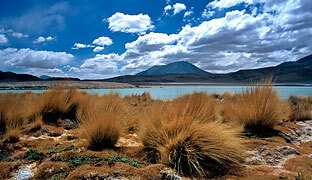 Basking in sunshine, it is a great base for exploring the beautiful valleys of central Bolivia. Located in the Bolivian Amazon, Bolivia’s eco-tourism capital of Rurrenabaque provides access to spectacular pristine rainforests as well as the fantastically wildlife-rich pampas. within 24 hours. While traveling in Peru you will have access to our local 24/7 emergency number. Copyright © 2001 - 2014 All rights reserved. Peru for Less, LLC.